Fantastic bike in Ember Red Sunglo with rear lighting added to tour pak, LED front headlight and marker lights, Vance & Hines true dual exhaust system, and two brand new tires! 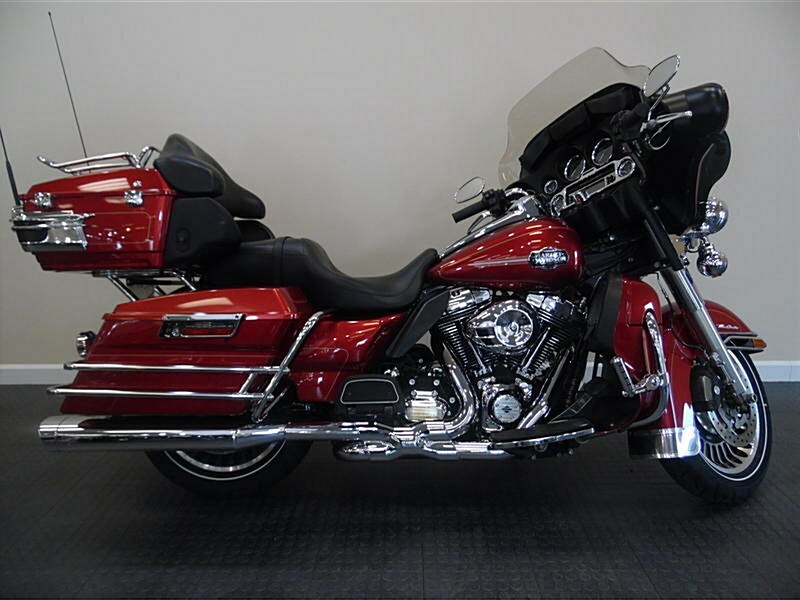 The 2012 Harley Ultra Classic Electra Glide FLHTCU provides touring style with many upgrades. New for 2012, the Harley Ultra Classic Electra Glide features a powerful, new, larger air-cooled Twin Cam 103 Harley engine with 6 speed cruise drive tranmission, providing more performance power for passing, hill-climbing, and riding with passenger and lugagge. The Harley Ultra Classic Electra Glide offers two types of motorcycles wheels. The optional motorcycle wheels offered on the Ultra Classic Electra Glide can give this bike a different look so be sure to check them out in the Paint & Wheels section. 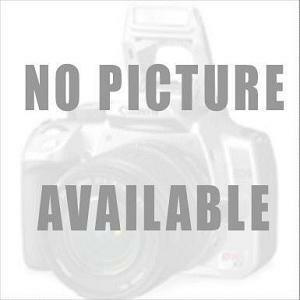 This motorcycle also has many valuable standard options as well, such as the Tour-Pak motorcycle luggage capacity. Part of the unmistakable style of the Harley-Davidson® Ultra Classic® Electra Glide® motorcycle is plenty of room for showing off your paint. This classically styled, bold six-gallon fuel tank doesn't just give you a bigger canvas for premium or custom paint; it holds six gallons of go so you can eat up a lot more road between pit stops. We know fuel economy is important—but so is style. A dual-color paint scheme, crisp pinstripes and unique Harley-Davidson® tank medallions give this ride a one-of-a-kind look. Designed by Chief Styling Officer Willie G. Davidson, the nimble, fork-mounted Bat-Wing fairing first appeared on the touring scene back in 1969. And it continues to evolve and symbolize the essence of Grand American Touring motorcycles more than forty years later. The full 8-inch windscreen gives it that classic touring profile and additional comfort. Simply put, the wind is not a factor for the mile-hungry rider who wants to soak up the freedom of the open road for days on end. These injection-molded hard bags have room for 2.26 cu. ft. volume of long-haul luxuries and a perfect surface for showing off some premium paint. Even better, these saddlebags open from the top, so your gear won't end up spilled all over the highway. They keep your fancy unmentionables dry, and the chrome latches won't corrode in bad weather. Stunning chrome guards on the saddlebags are only available on the Electra Glide® Classic and Ultra Classic® Electra Glide®. And when you're off the road, one common key starts the bike and gives you access to your saddlebags, keeping your pockets as uncluttered as your bike's classic design. If you crave long-haul agility on rides of all distances, then you're going to love this. Starting on the 2009 Touring models, we beefed things up a bit, adding a big, mighty wheel with a low aspect ratio. That means the bike maintains its legendary tight turning radius, balanced feel and superior low-speed maneuverability. The knowledge of what makes an engine truly move a rider runs deep at The Motor Company, and it was put to good use when we created the Twin Cam 103™; engine. We sweated bullets perfecting every cubic inch, pushing design and technology forward. And we did it all without compromising one bit of Harley-Davidson®'s unique styling. Evolved, yet carrying on the legacy of the Flathead, Knucklehead, Panhead, Shovelhead, Evolution®, Twin Cam 88®; and Twin Cam 96™ engines that came before. The performance and durability are a direct result of the untold miles logged on the V-Twin since 1909, and the proud heritage that comes from a century's worth of commitment to life on two wheels. Hello, I'm interested in your 2012 Ultra Classic® Electra Glide®. Hello, I'm interested in making an offer on your 2012 Ultra Classic® Electra Glide®. 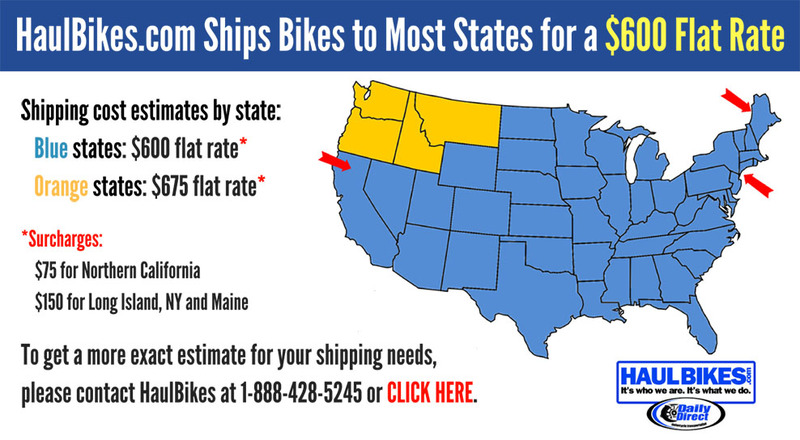 Hello, I'm interested in trading in my bike for your 2012 Ultra Classic® Electra Glide®. Hello, I'm interested in taking your 2012 Ultra Classic® Electra Glide® for a test ride.